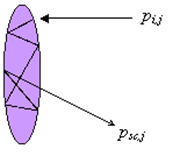 An interesting special case among sound reflectors is the ideal rigid, infinitely thin, disc of radius a. Piercea (1981), with reference to Lord Rayleigh in 1897, presented an analytical solution for the scattered pressure psc from a disc of radius a in the low-frequency case ka<<1, resulting from an incoming plane wave pressure pi along the x-axis normal to the disc (fig 1). 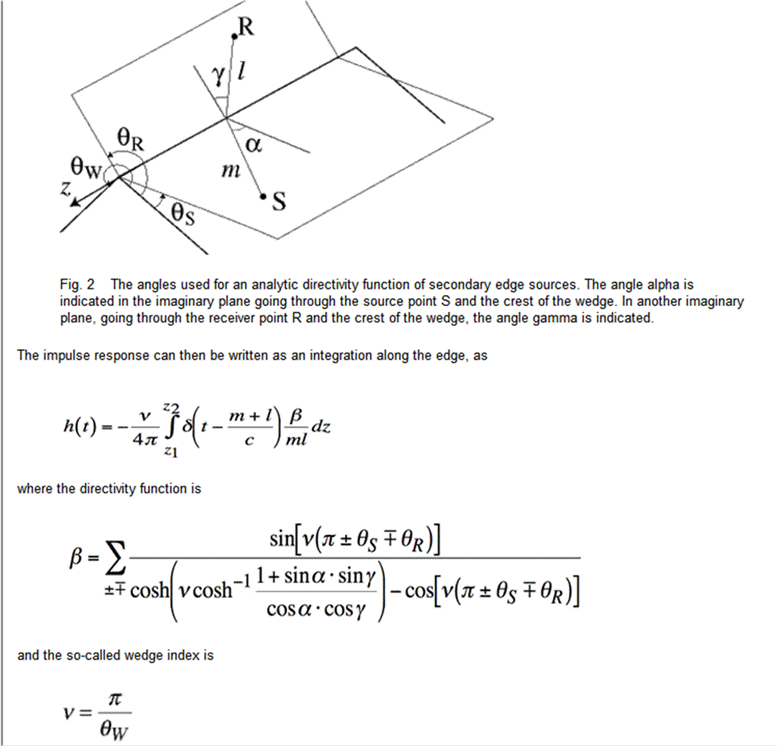 The analytical solution provides verification for physical and mathematical models suggested for prediction of reflections from reflection panels in general and the disc in particular. At the bottom of this page there are several links to some related articles. Pierce identifies the dipole radiation characteristics of the scattered pressure from the disc, in contrast to scattering from a sphere, which would be a combination of a monopole component and a dipole component. Note that D is equal to the classical end-correction of a pipe having radius a, and the height of the air-mass associated with the radiation reactance of a circular piston with radius a , oscillating in an infinite baffle. 6. As noted in the introduction, the above solution (1-2) is valid in the low frequency case ka<<1. where p and Ñ p are the pressure and the pressure-gradient at the closed surface S, and r is the distance from P to the infinitesimal surface element dS with a normal vector n pointing away from P.
In the far field low frequency case (kr>>1 and ka<<1), a number of simplifications can be made, since e-ikr/r vary negligibly over the surface of interest. 7. A different approach towards insight in scattering from a disc would be to study edge-scattering in the time-domain.